We all know that networking is important, and that forming relationships with others is a vital part of success. But sometimes it seems like networking removes all emotions from the equation and focuses only on immediate goals...whereas the kind of relationships that have true staying power, give us joy, and support us in the long run are founded on simply liking each other. The worst thing we can do when trying to establish a personal bond with someone is to come across as manipulative or self-serving. Authentic connections go much deeper--and feel much easier--than trying to hit self-imposed business card collection quotas. 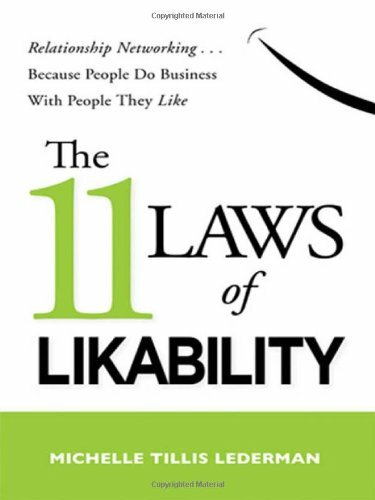 This book presents a new paradigm that shows how even the most networking-averse can network...and like it.